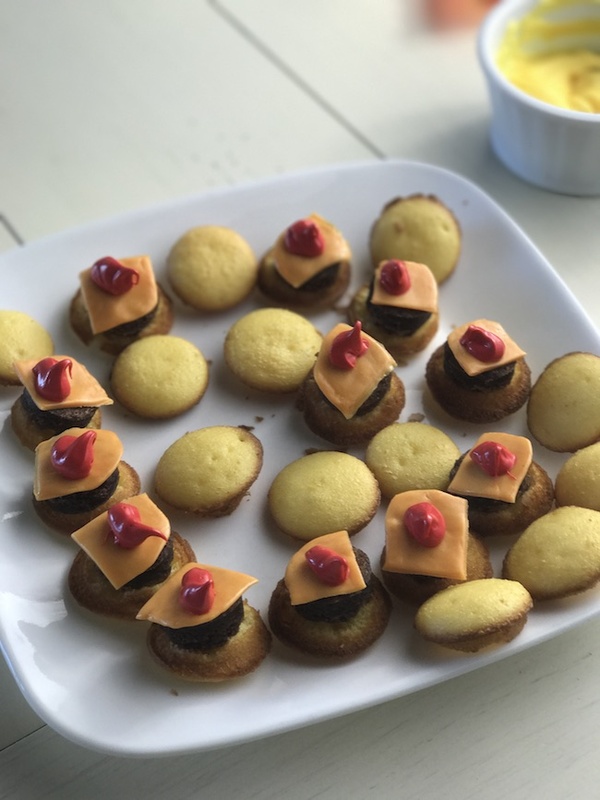 The Mini Hamburger Cupcakes Recipe is brought to you by Just Plum Crazy. These Mini Hamburgers Cupcake Recipe is just too cute. 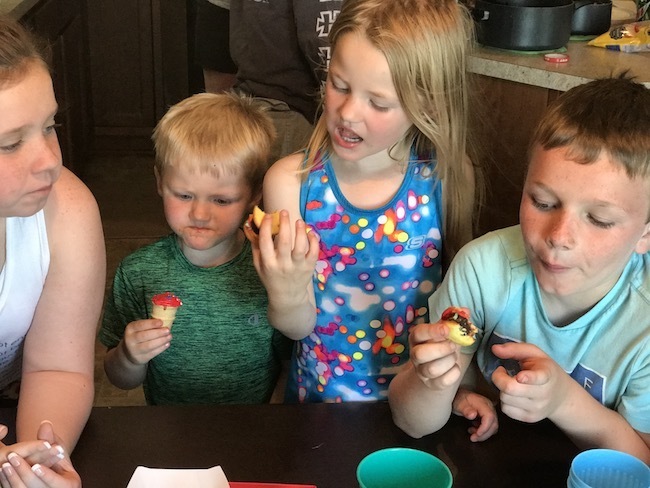 We just got through sharing our Mini Ice Cream Cone Cupcakes recipe for our Country-Fried Krystal BBQ party. I just love everything mini. 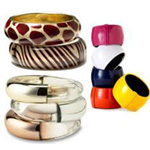 These are especially popular with the kids. Items needed for each mix. Yellow, green and red food coloring. 1. Prepare cake mix and brownie mix according to directions. 2. Spray a mini cupcake pan with non stick spray and fill with cake mix batter. 3. 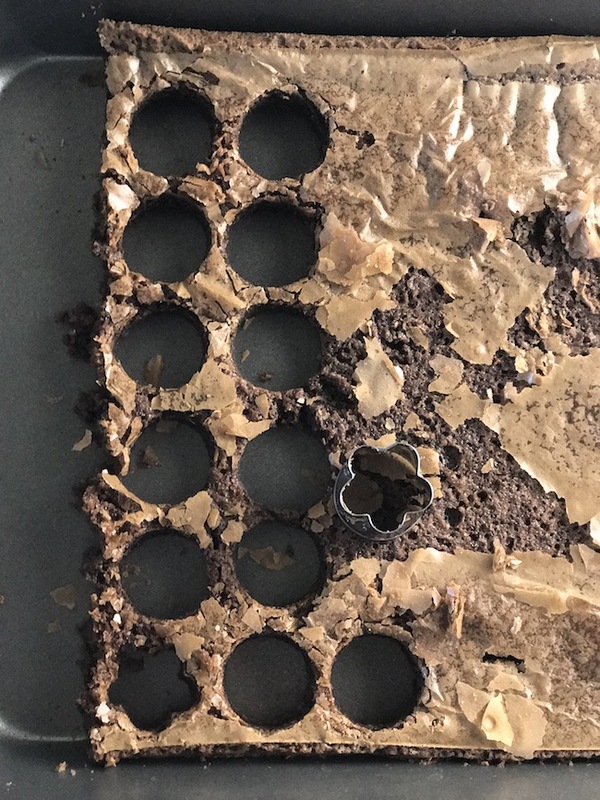 Make brownie batter in a 9 x 13 cake pan. 4. Bake each one according to directions. 5. Once removed from oven, cool. 6. Take the orange Tootsie Roll fruit chews and press to flatten them out. Then cut in 4 pieces with a knife to create the cheese. 7. 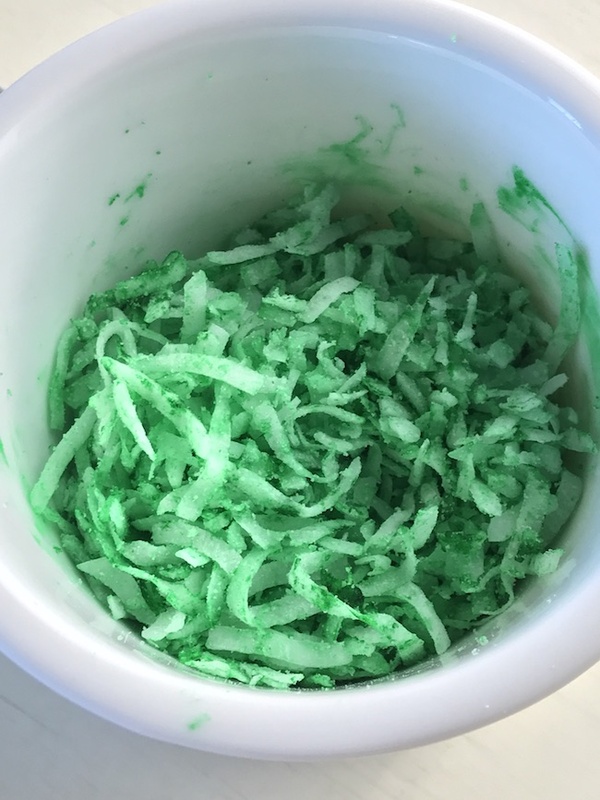 While you are waiting for them to cool, mix green food coloring in shredded coconut. 8. Divide Vanilla frosting into 2 bowls. 9. 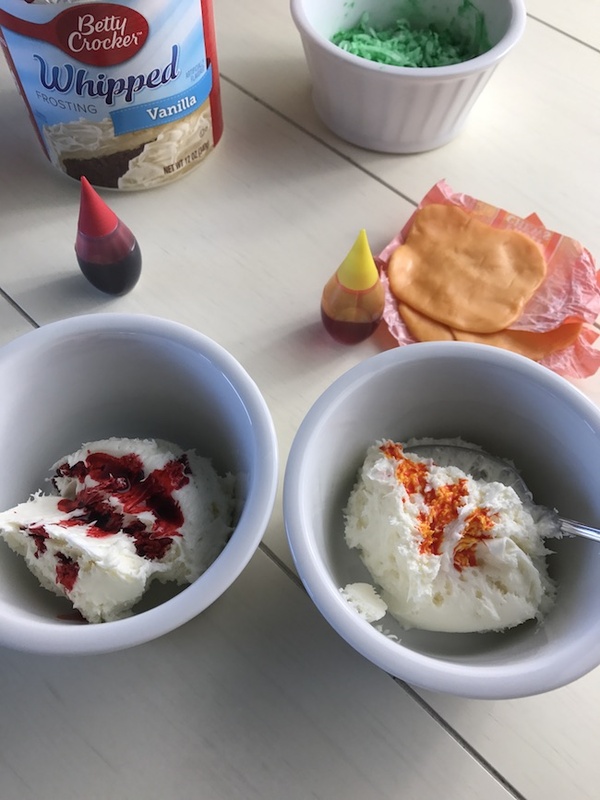 Add yellow food coloring to one bowl for mustard, and red food coloring to the other for ketchup until you get the desired colors. 10. Once brownies are cooled, cut small circles with cutter for the hamburgers. 11. 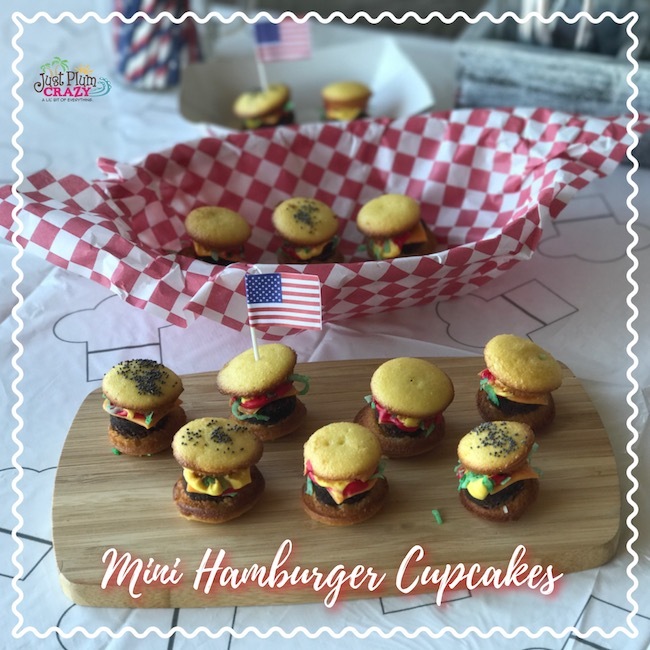 Remove mini cupcakes from pan and cut in half for buns. 13. 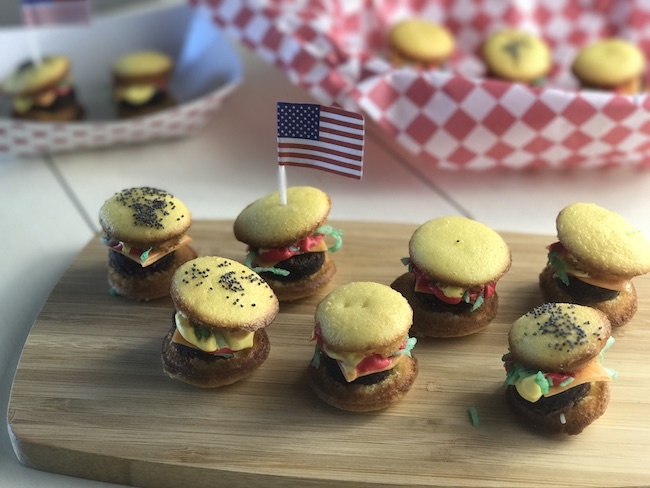 Place your brownie hamburger on the bottom of the cupcake roll. 14. Put your orange fruit chew cheese on top of the brownie hamburger. 15. Put red and yellow frosting in 2 separate bags to squeeze onto the cheese for mustard and ketchup. 16. 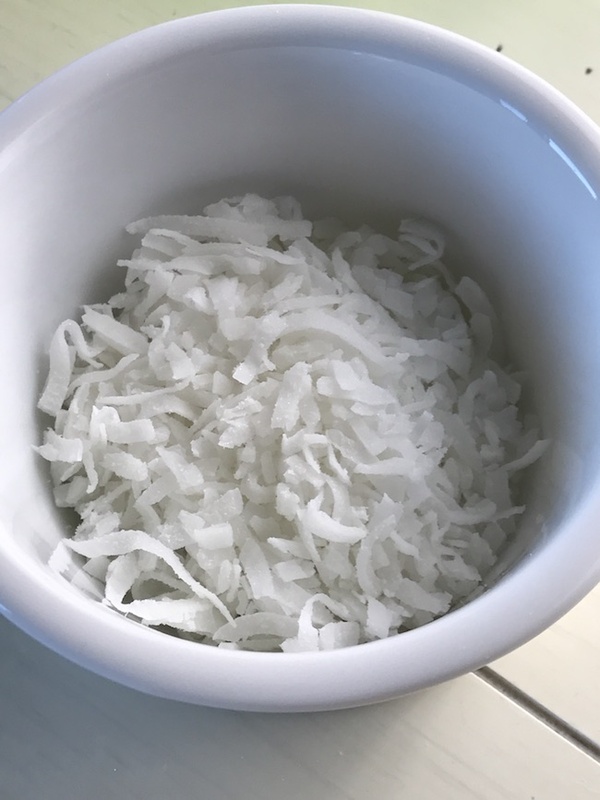 Place some green shredded coconut on top for the lettuce. 17. 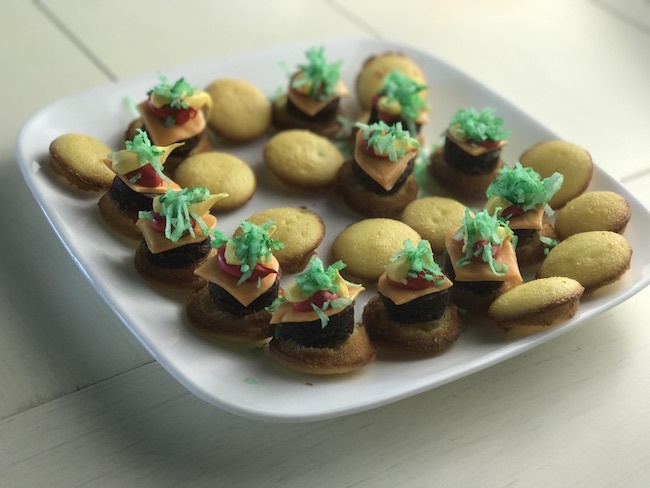 Put the top of the cupcake hamburger roll and press down lightly. 18. Wet the top of the cupcake with a little bit of water so the poppy seeds or sesame seeds stick to it. I left some plain in case the kids didn’t like them. 19. You can use a toothpick to keep it all in place. Yellow green and red food coloring. 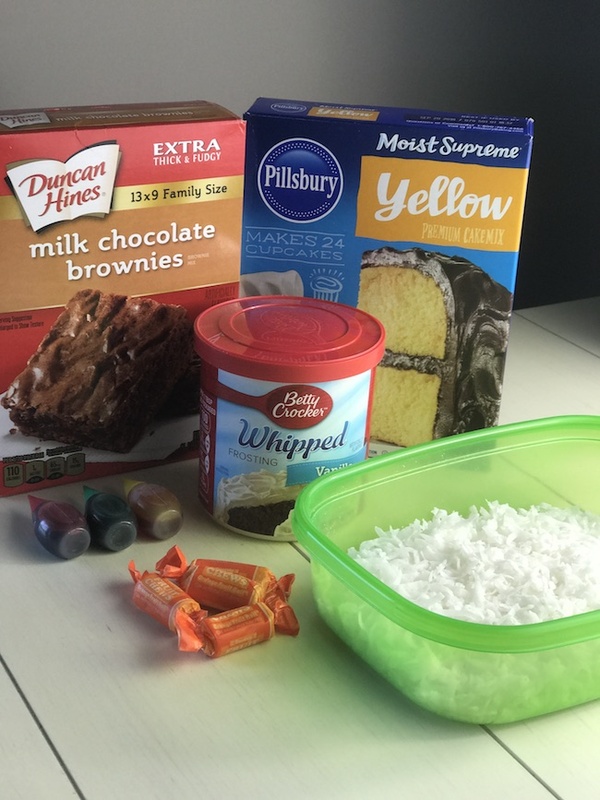 Prepare cake mix and brownie mix according to directions. 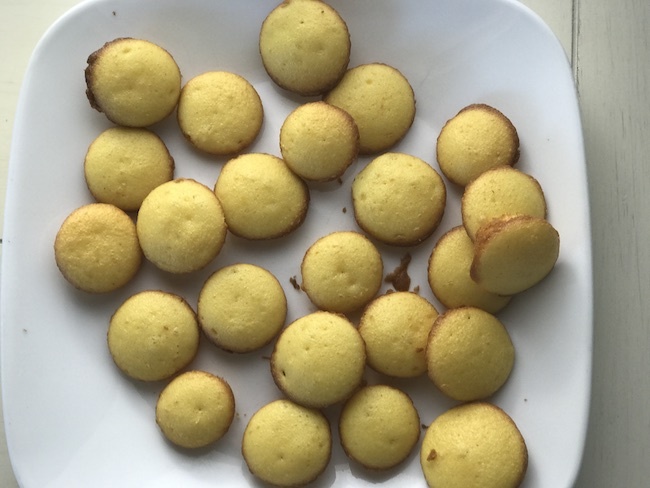 Spray a mini cupcake pan with non stick spray and fill with cake mix batter. 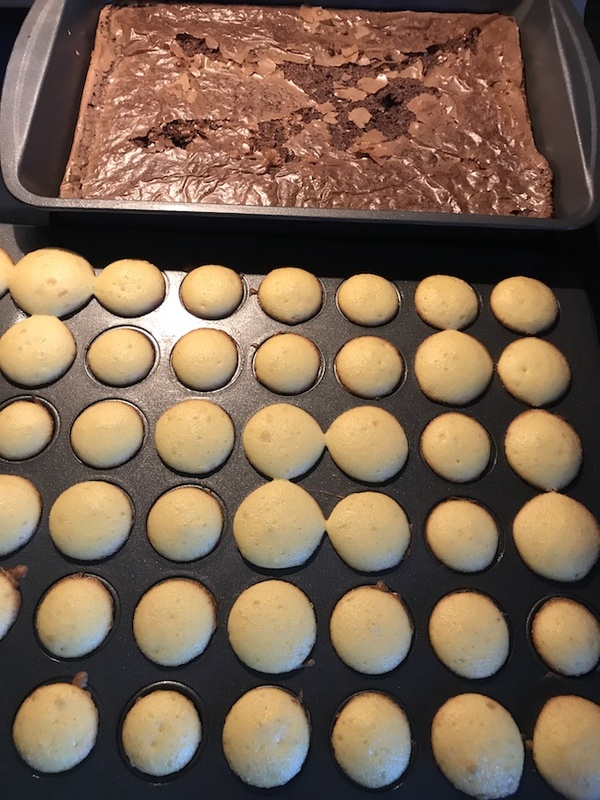 Make brownie batter in a 9 x 13 cake pan. Bake each one according to directions. Once removed from oven, cool. Take the orange Tootsie Roll fruit chews and press to flatten them out. Then cut in 4 pieces with a knife to create the cheese. 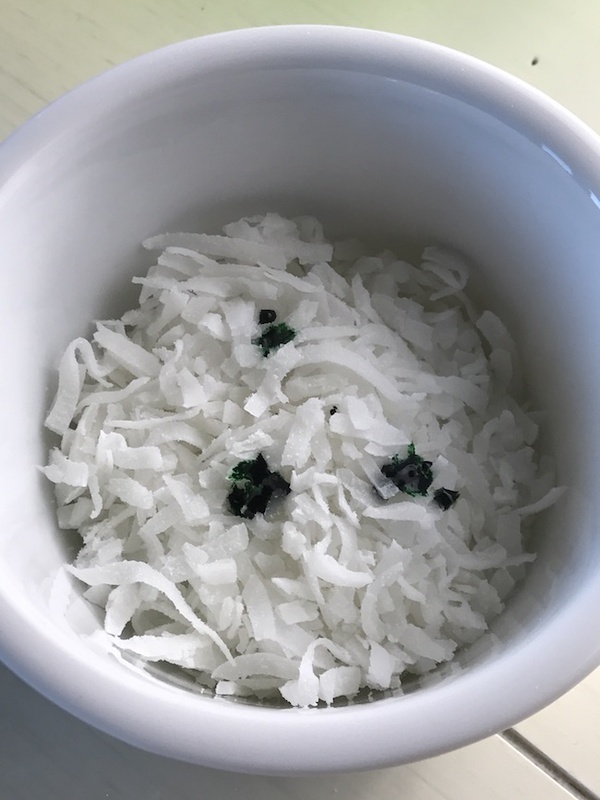 While you are waiting for them to cool, mix green food coloring in shredded coconut. 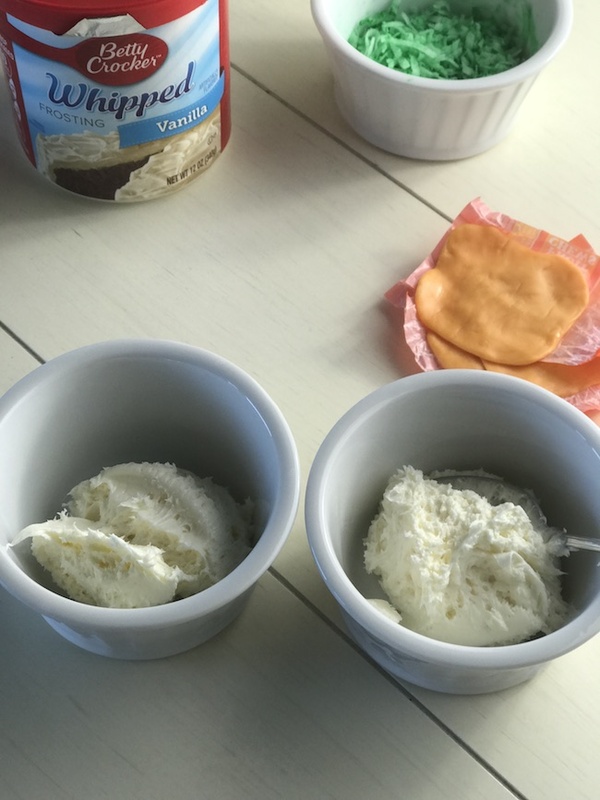 Divide Vanilla frosting into 2 bowls. Add yellow food coloring to one bowl for mustard, and red food coloring to the other for ketchup. Once brownies are cooled, cut small circles with cutter for the hamburgers. 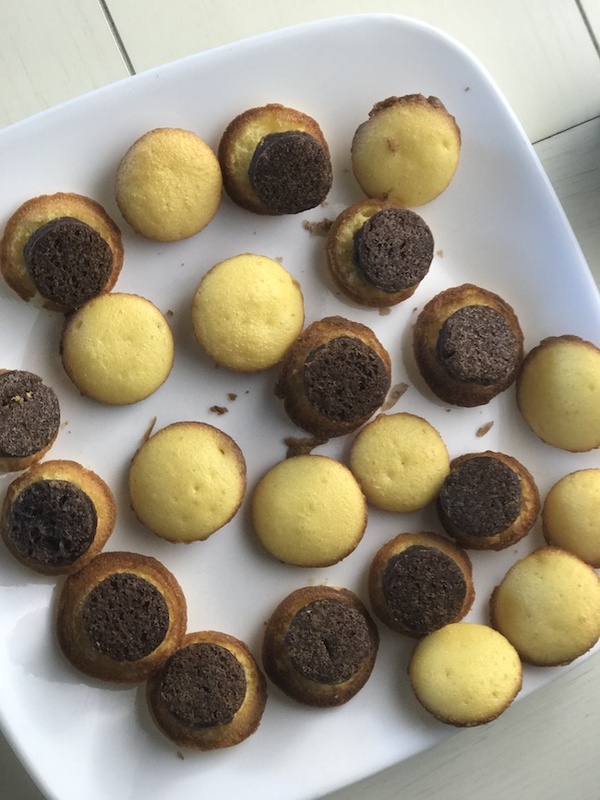 Remove mini cupcakes from pan and cut in half for buns. 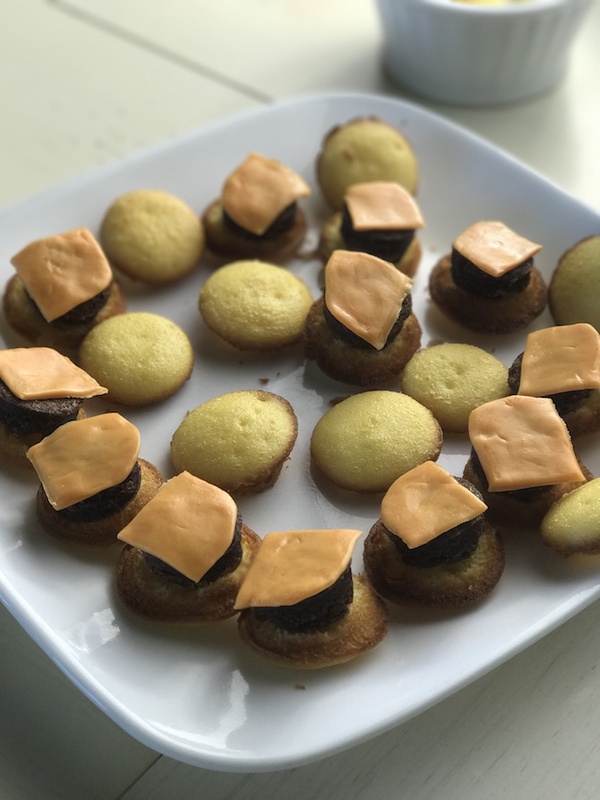 Place your brownie hamburger on the bottom of the cupcake roll. 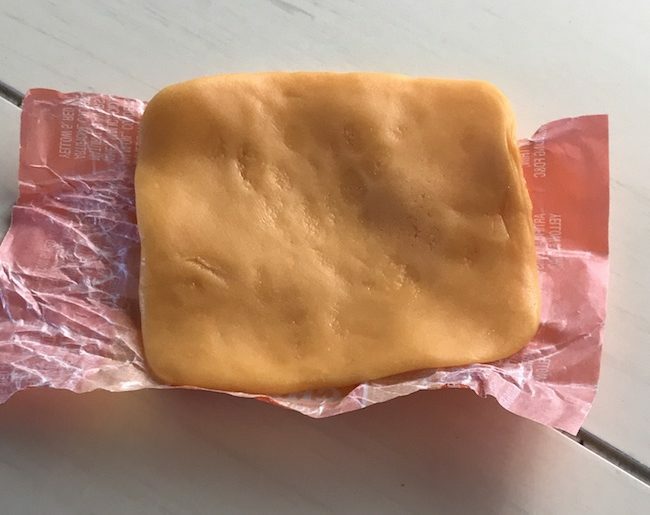 Put your orange fruit chew cheese on top of the brownie hamburger. 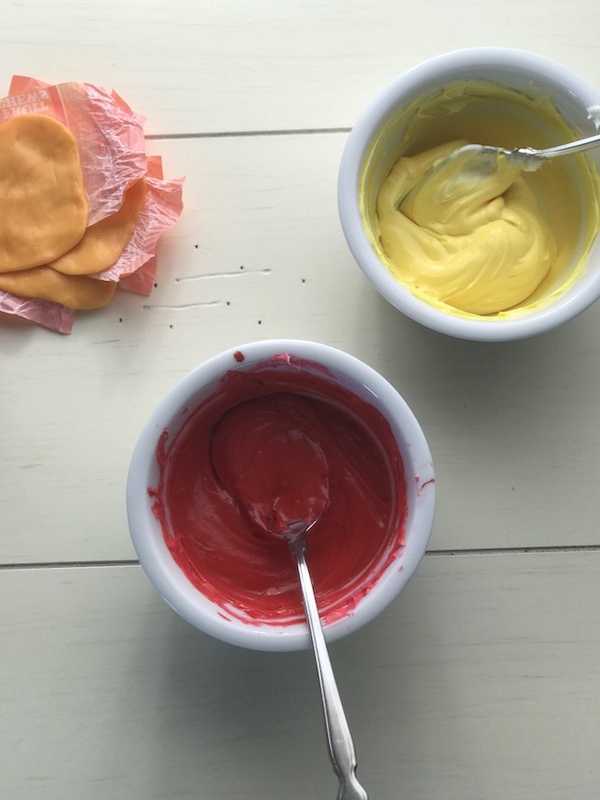 Put red and yellow frosting in 2 separate bags to squeeze onto the cheese for mustard and ketchup. Place some green shredded coconut on top for the lettuce. 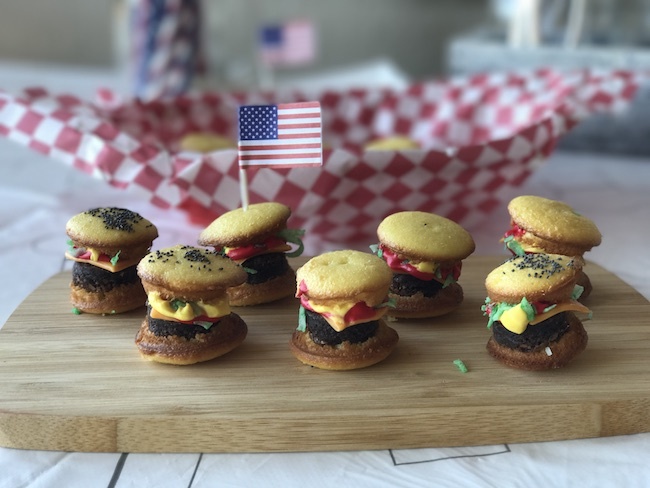 Put the top of the cupcake hamburger roll and press down lightly. Wet the top of the cupcake with a little bit of water so the poppy seeds or sesame seeds stick to it. I left some plain in case the kids didn't like them. You can use a toothpick to keep it all in place. The kids once again, all loved them! 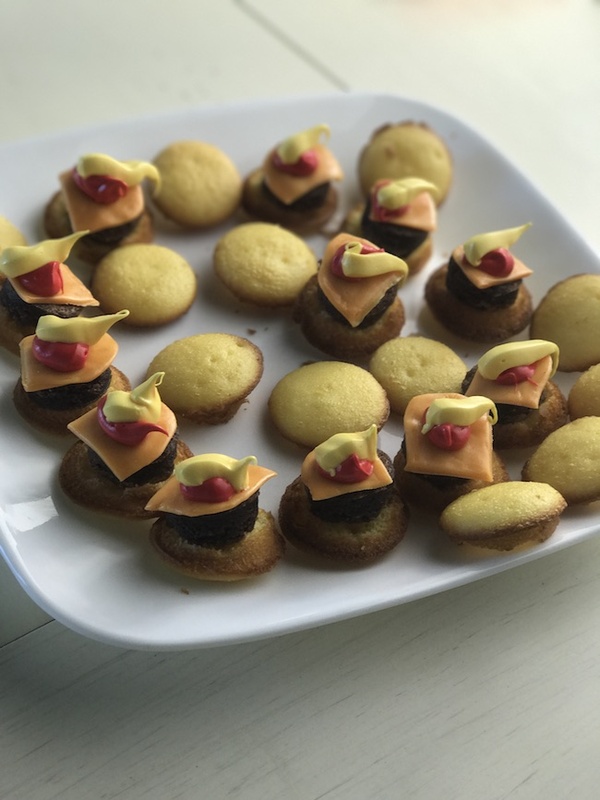 What are your favorite mini foods? 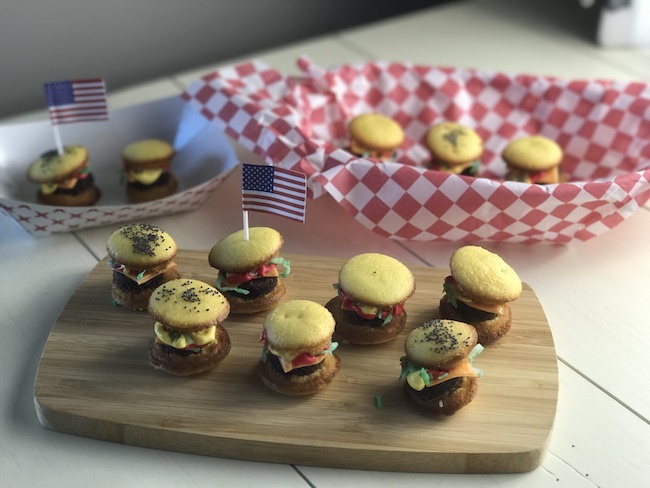 These mini burgers look amazing for my grandsons summertime birthday party!